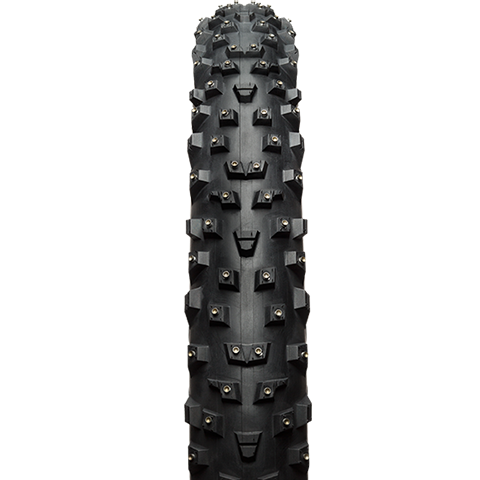 45NRTH’s Wrathchild Plus aggressively studded bike tires are manufactured to handle the trickiest winter conditions. These tires feature XL concave studs that provide superior traction on ice and slush. Deep lugs are featured throughout the tire, allowing for a firm grip on loose surfaces. You will feel in control during your ride with the tall side lugs digging their way into the ground while cornering. The Wrathchild's high-void lug pattern allows the tire to hook up under accelerating and braking forces inspiring confidence out on the trails. Select from the plus bike tires below to find the size for your bike.